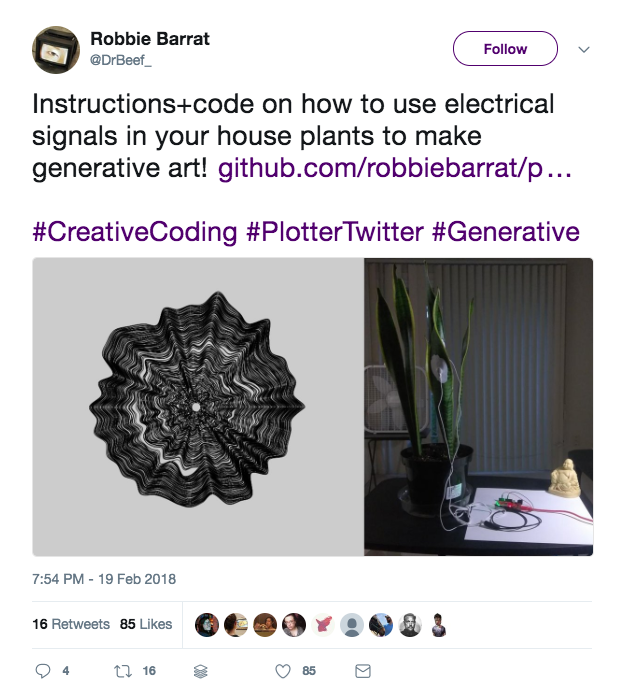 We’re also inspired by the bio-diversity on the island, and how different tropical plants might express themselves through the patterns in their electrical activity. 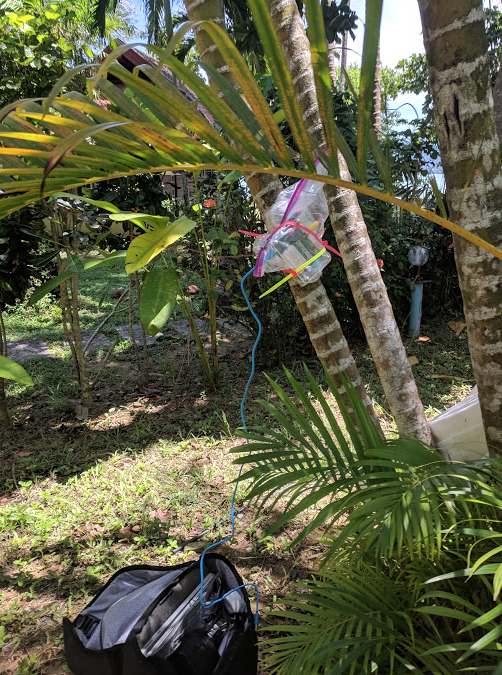 To understand how to get the most accurate measurements of electrical activity in plants, we used non-invasive extracellular recording using Backyard Brains’ Plant Spiker Box. We test the hardware at home. This gives you an idea of what the measurements look like on screen. The output is an audio file. Waterproofed and ready for monsoon (in a ziploc kind of way). 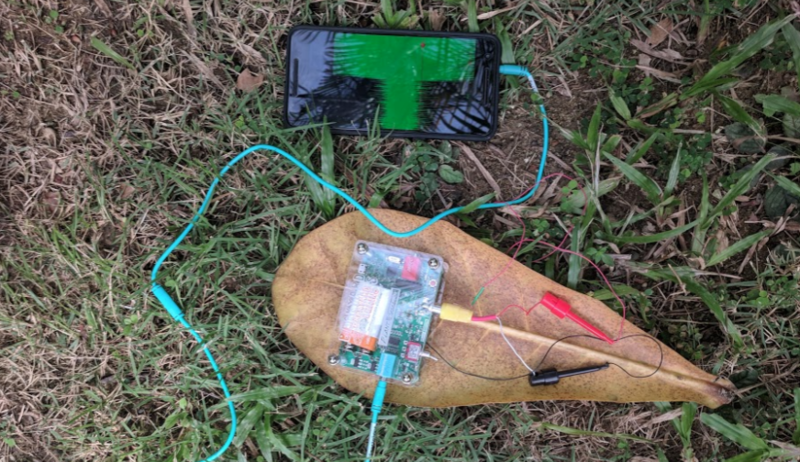 Here, the ground wire is pinned into the trunk and the sensor wire is wrapped around a frond that is lower on the tree. The board is zip-tied to the trunk. We got a good, pretty clean readings from lower, middle, and higher fronds. We tried recording from the board into a field recorder with an audio cable. That data was too noisy. We tried recording with the app using my Android phone — not quite readable. We ended up using the USB to record right into the laptop. This gave the cleanest results. We wanted to record for days at a time, but the constraints put us at recordings of 3-5 hours at a time. Because the recording is a wav file, Sebastian parsed the data before we had values that we could use. Tasneem got a shot of us in the act! 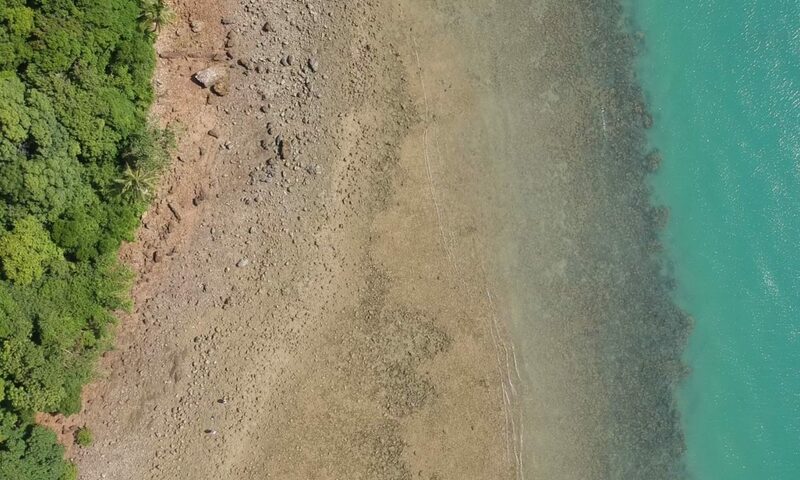 After moving out to the SY Diva Andaman workspace, we were inspired by the movement of the waves in and out, leaving saturated traces, and iterated through a few visual styles. These are some of the results, with the plant’s electrical data determining the colors on the first video and color along with more attributes on the second as well as lighting. 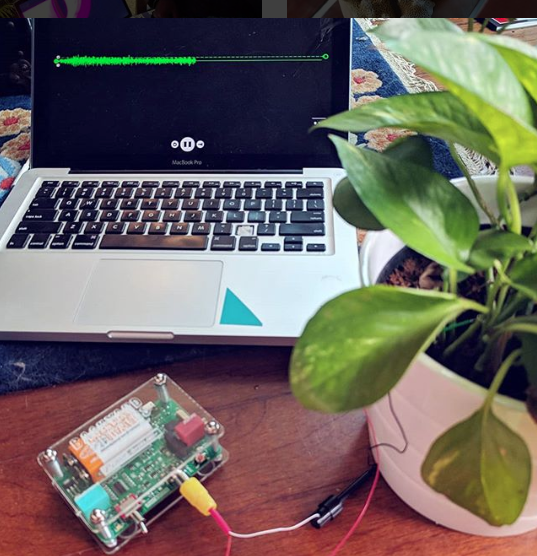 We’re planning to complete the same experiment with a potted palm that lives on our terrace in Midtown Atlanta to compare how a city palm and a jungle palm might differ or resemble one another when their electrical activity is compared using the same parameters. We want to print these Palm Readings and show them off. We’d like to use the art prints as a target for an augmented reality component that shows the animating 3 dimensional aspect of the piece. Stay tuned. We’ll be kicking off the urban Palm Reading soon!